Pellets - Let's shake things up! 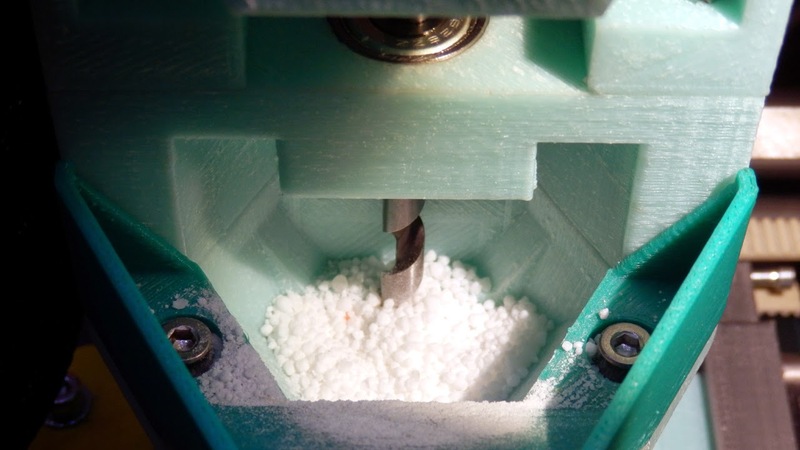 A few months back I asked the question on G+, Would anyone like to discuss Pellet / Granular extruders? I ask because I have been working on various designs for quite some time with success and also plenty of failures , it's not easy, it needs collaboration and I would like to see it stay open-source and accessible to all at a very low (no) cost. 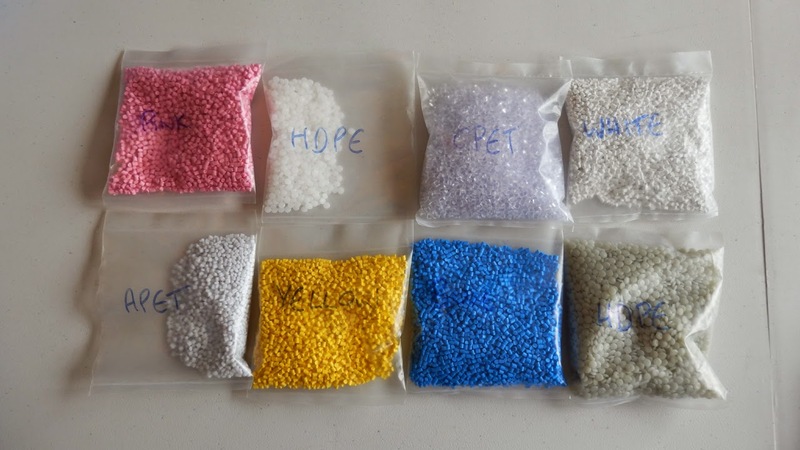 Directly using pellets or granules of many different types will be another very big game-changer in 3D printing. 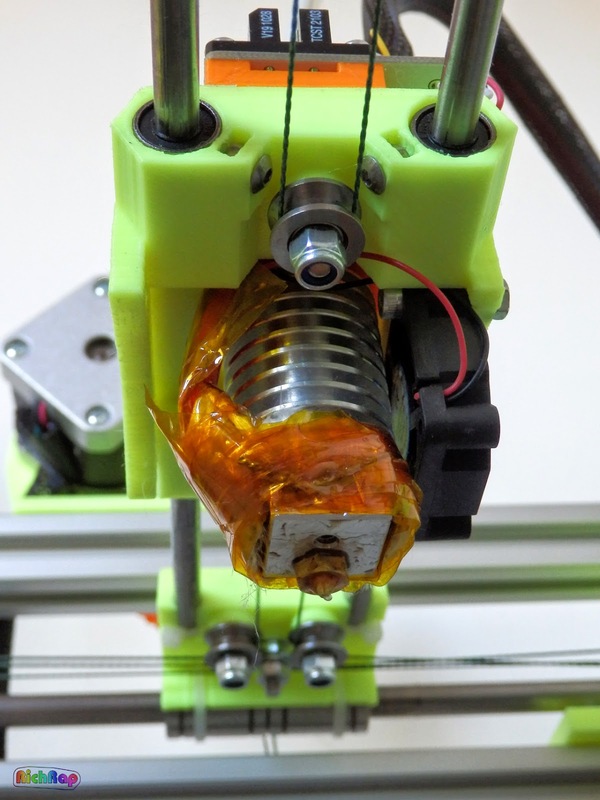 Using all sorts of different materials for 3D printing is good news, it helps people find more uses for the technology and further's the progress of design, manufacturing and innovation. 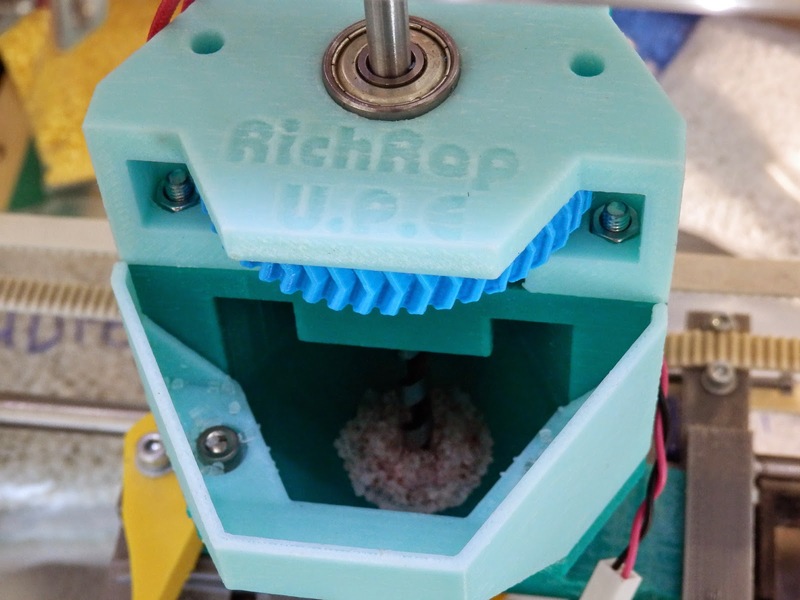 Since designing various Universal Paste Extruders, it's been a real pleasure to see so many people use, re-design and further extend paste and food printing in so many different ways. 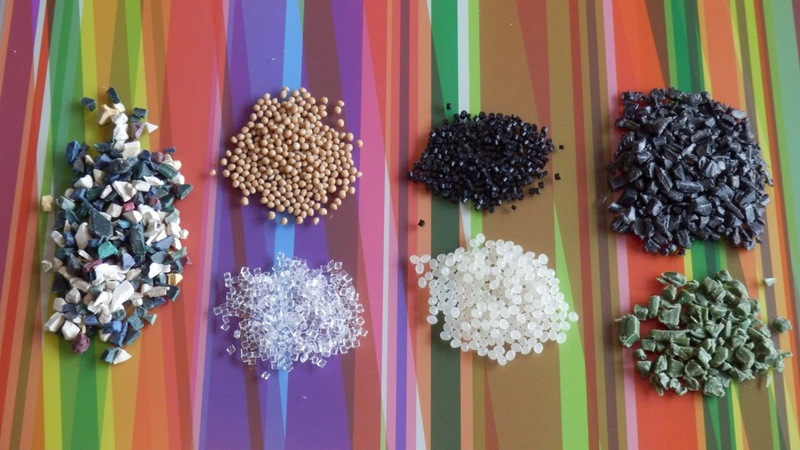 Using pellets and other granular materials for 3D printing are a next evolutionary step in both simplicity and flexibility. I have been working on and off for a while to design and test other types of extruders for granular materials for 3D printing, my focus was initially using Sugar with great success but this year I have also moved onto plastic pellets (resin's) that are normally used for injection molding or to make the 'standard' filament's we already use in home 3D printers. This whole area needs more development and a focus from the open-source RepRap community, makers and developers to refine a system to use all sorts of different granules and materials for 3D printing. 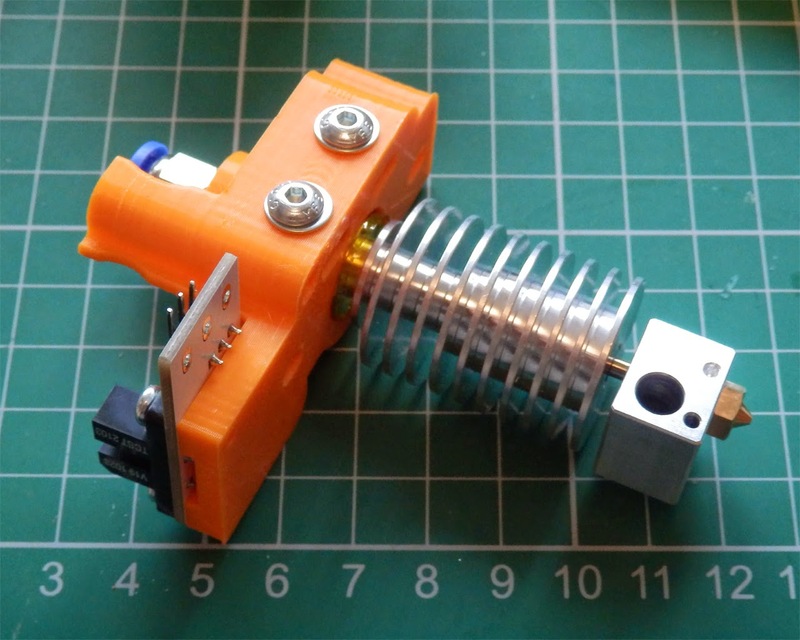 This Blog post is an introduction / development update of where I'm at, and at least a way to form some prior art statements about ideas and directions for this sort of extruder development in 3D printing. The point of this blog post it launch this as an open-source community project. 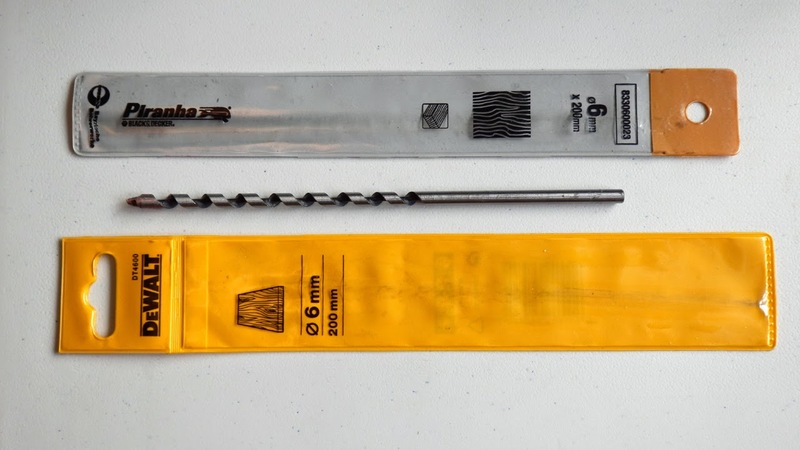 The files have been uploaded to Youmagine here, if enough people take an interest and can assist with further development it could be a good idea to have a section on the RepRap Forum or Google+ Group for Pellet extrusion development. 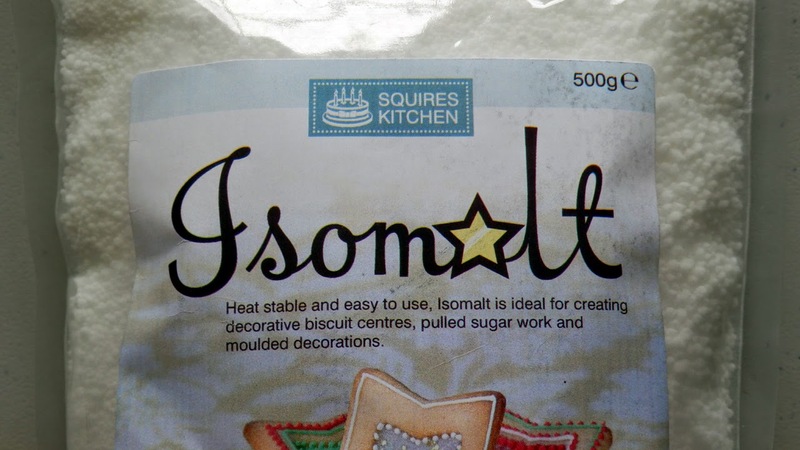 Isomalt is a really nice sugar often used for sugar-craft and as a sugar substitute, it has a nice advantage of being less likely to burn or go brown than normal cane sugar. It worked surprisingly well when you get a good temperature (around ~155 Degrees C) you can get a flow of Isomalt sugar from the nozzle. It's also in HD over on YouTube. 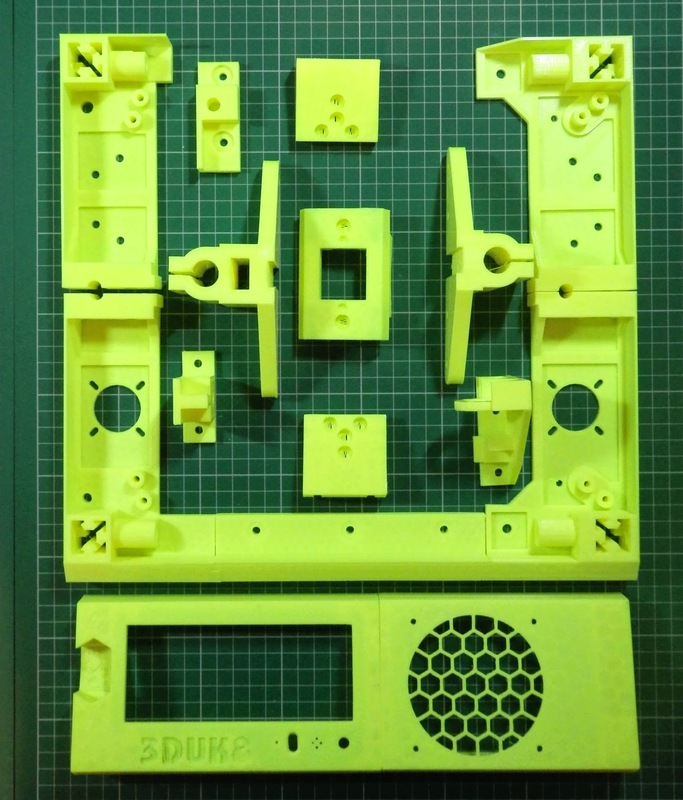 If you have been with me for a while, you know I like to use as many off-the-shelf parts as possible, so it's as easy for people all around the world to build and enjoy 3D printing. 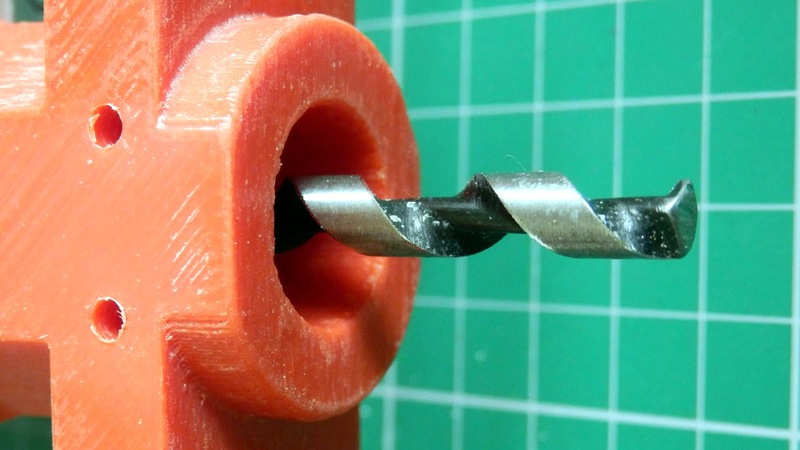 Without the need for custom machining, or expensive equipment. 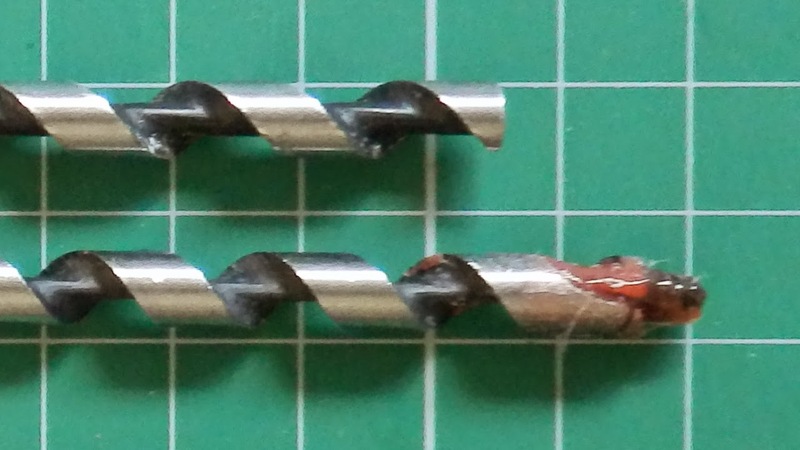 I tried a number of different 200mm long x 6mm wood Auger bits from DeWalt and Black & Decker, most were almost identical and operated the same. 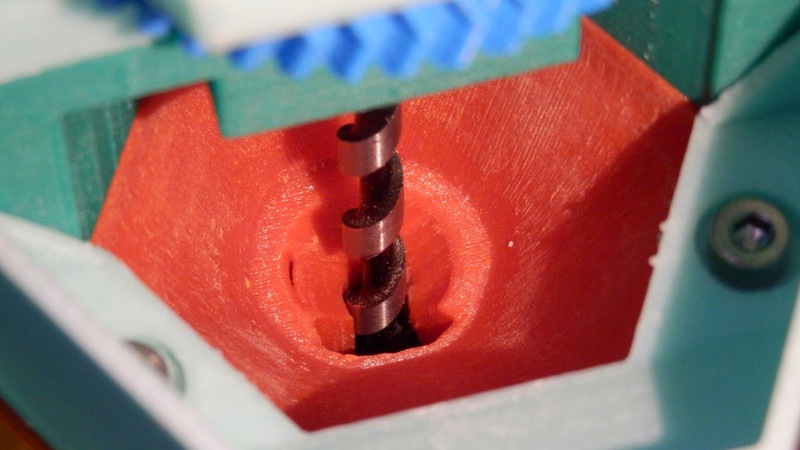 A 6mm wood Auger bit fitted perfectly and with only a slight modification I had the basic outline of a granular extruder without using any custom parts other than being 3D printed. A little bit of cutting and polish and you have a granular feed system. 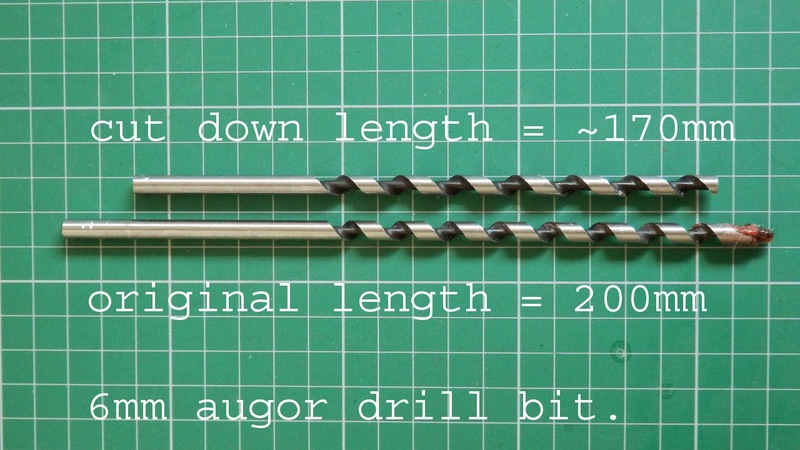 I found it better to cut off the end of the drill, but position in the J-head does need to be quite specific, you will need to experiment for the best melt and flow. 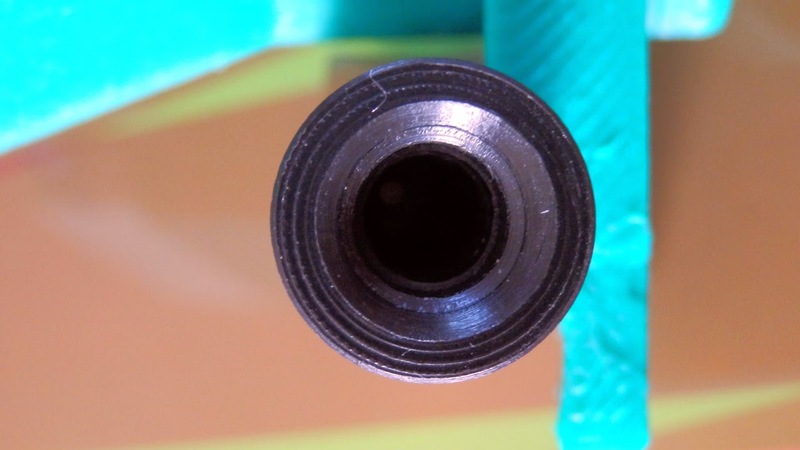 I drilled out the end nozzle to be 0.65mm. 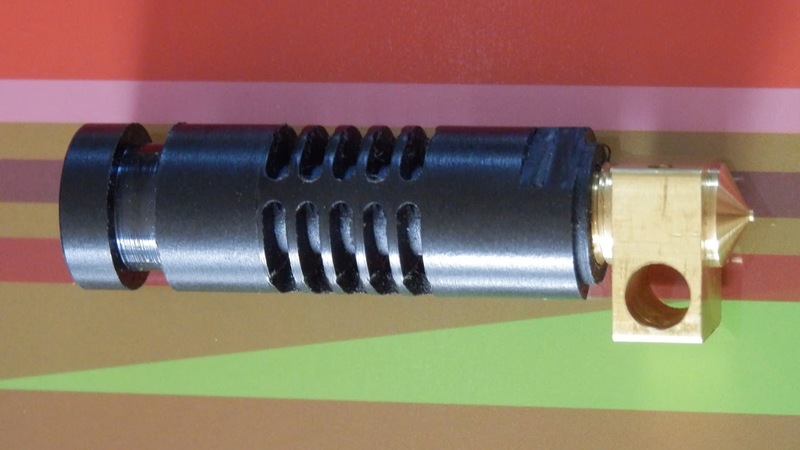 No other modifications to the J-head are required. J-head MK3 - with Aluminium tape to help with cooling. Different J-head's can work, I experimented with both MK4 and MK3 - The MK3 worked better. 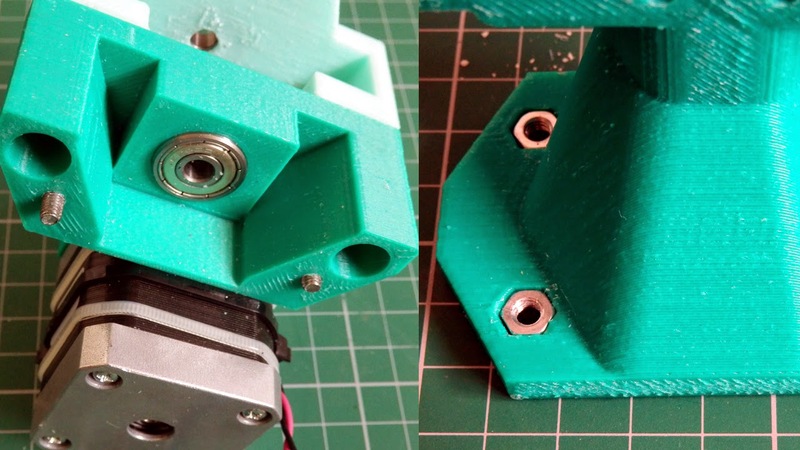 While experimenting with different materials and plastic pellets I designed two different Motor drive systems - One (Above) using a normal NEMA17 motor and Herringbone gear system - just like a 'normal' extruder. 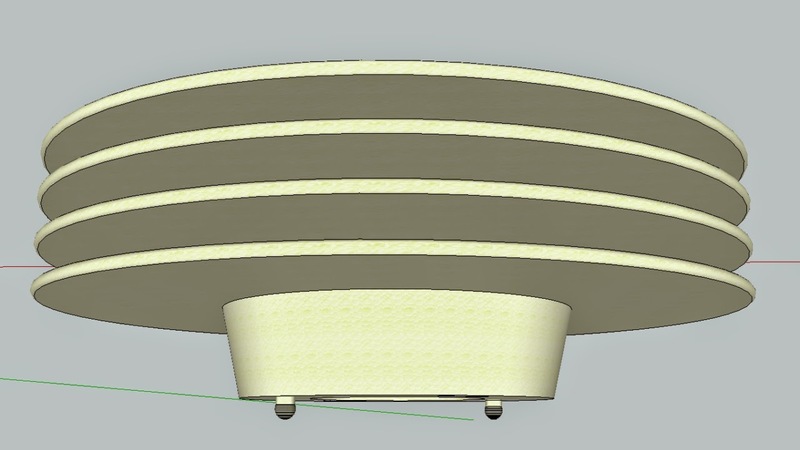 The second design used a NEMA17 with a Planetary gear box fitted. This can generate a lot more force but requires a very large number of motor steps (20,000/mm) so bear that in mind. Rotational speed and torque are both important, so I would recommend starting and experimenting with the Non-Planetary version first. 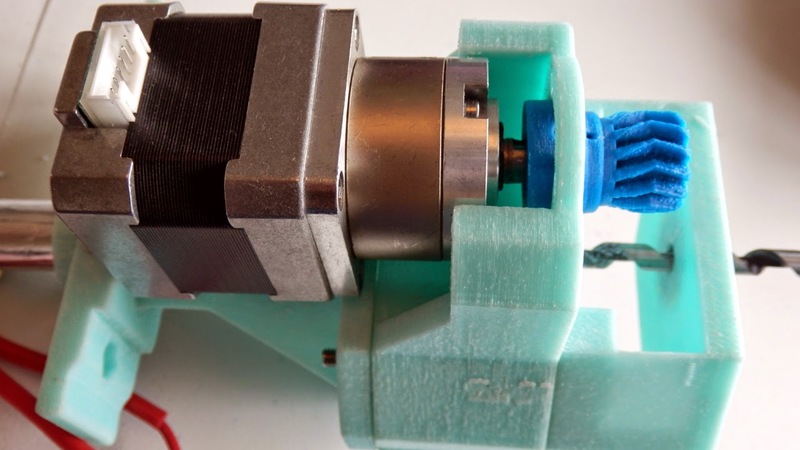 Most of the fittings are M4, they should be easy to understand from the models and images here, but you need to assemble in the correct sequence for everything to be tightly clamped together. Bearings are standard 606 style for the Gear and Drill bit. M3 fixings for the motor and gears. The mounting method uses my standard universal quick-fit carriage mount. 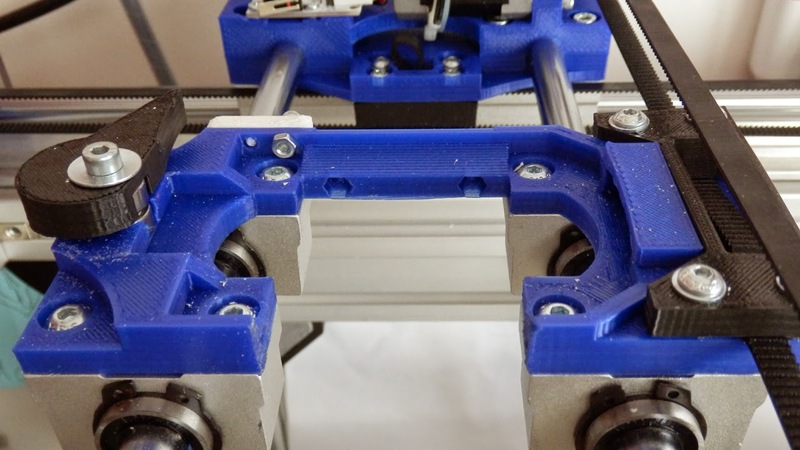 Quick-Fit carriage - Many versions available for different machines - allows the use of many different extruder types - all my designs use this method. Auger should be fixed firmly and be straight down the middle of the j-head - make sure your bearings are fitted tightly - they should be a tight fit and may require some pressure and slight heating of the plastic to get a firm fit. You will need to experiment with the placement of the Auger depending on the style / type of your J-head. 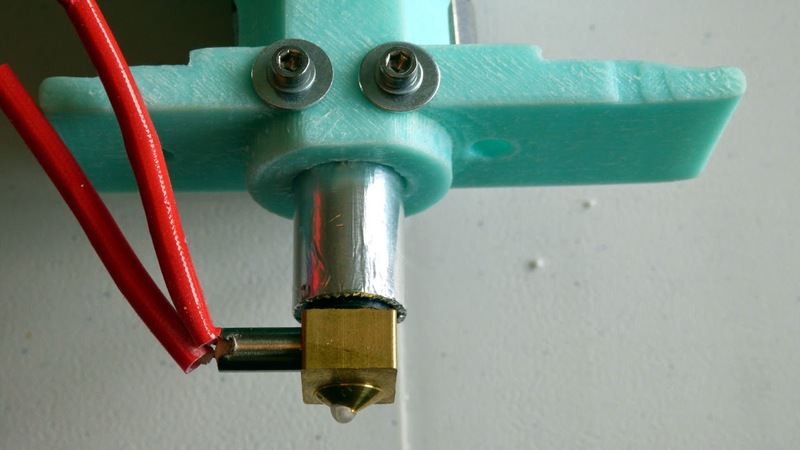 Make sure to secure the J-head well and remember you will need to cool the J-head body with a fan just in the same way you would when using PLA filament. Important bit - The design of this pellet/granular trap (shown above) is really important for good operation. I experimented with many different versions / designs and I'm sure it can still be greatly improved. You should end up with something like the above that you can experiment with. Note all the different colour parts, I had quite a few versions of the design before this one. 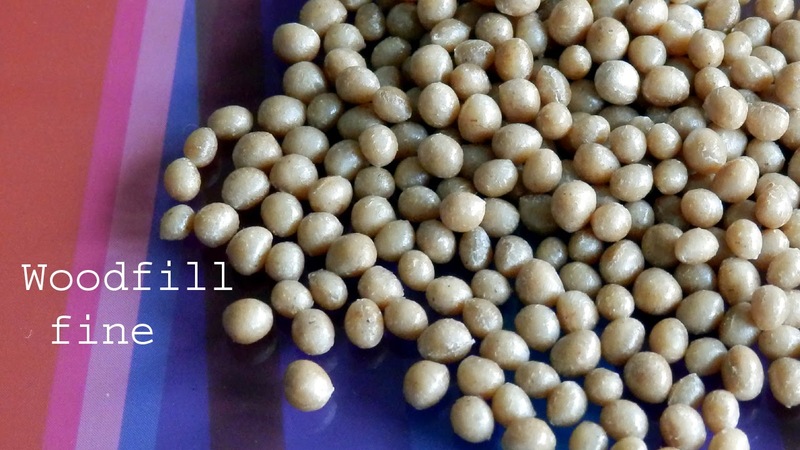 Then you need some pellets or granular materials to melt. is a typical selection above and below. 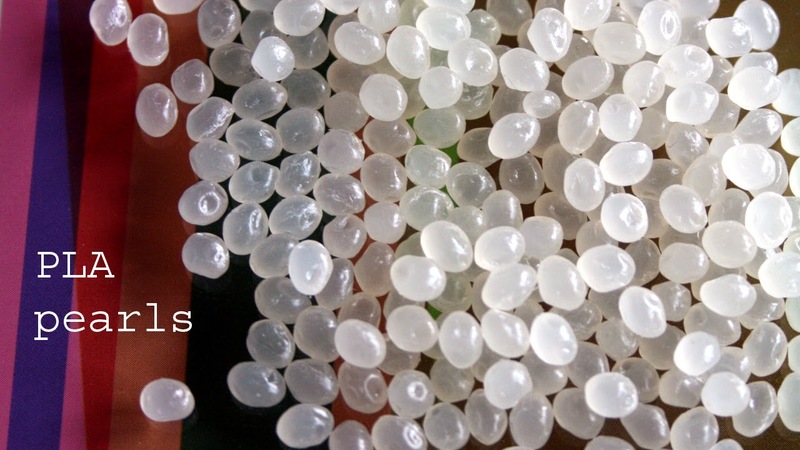 Some are round, some sharp shards and most are in cut round pellet form. 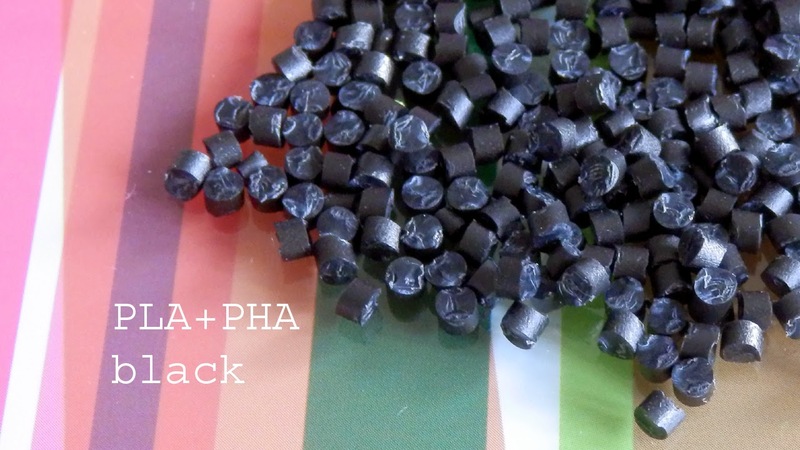 I finally managed to source a lot of different materials, but at the start I cut up normal filament into small pellets - crazy I know, but at least it allowed some testing as I could not find many places last year that would sell me small batches of different plastic pellets. 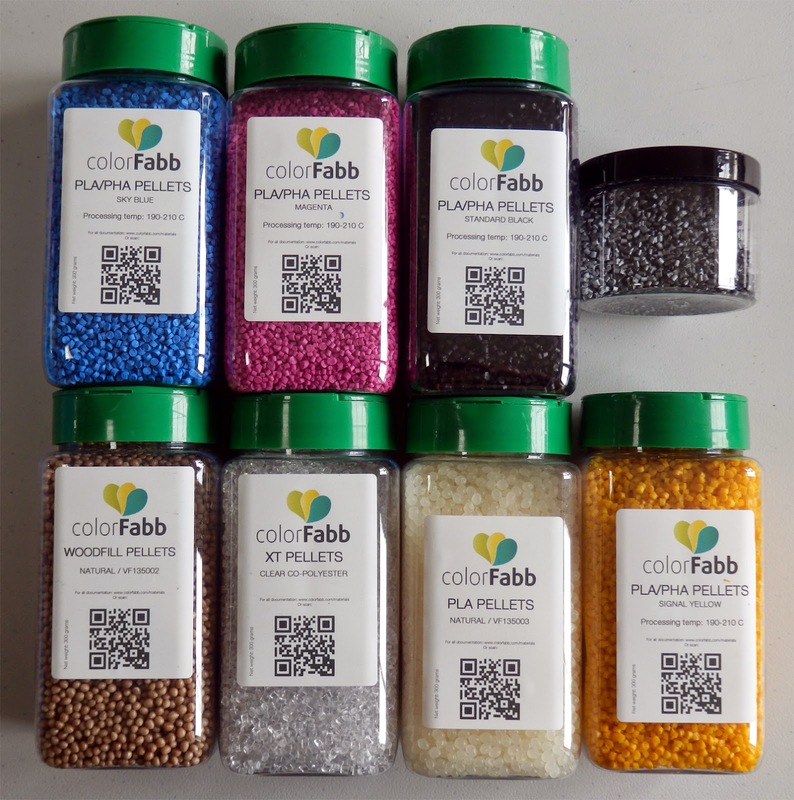 By far the easiest way is to now buy pellets from ColorFabb here. I purchased a selection. 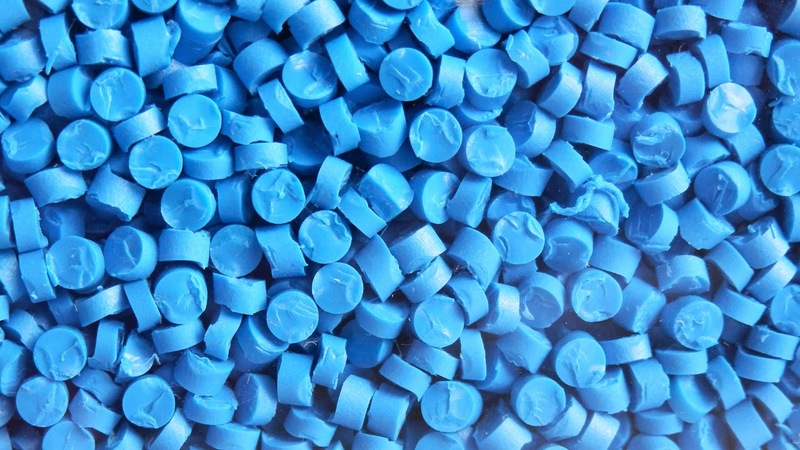 And if you look closely at the above image you will see 1.75mm and 2.85mm pellets, so I'm reasonably sure these are actually from filament cut up - maybe a good way to recycle any out of tolerance spools, but regardless it's good to know they are small pellets - ideal for this type of extruder. You can even get Woodfill - but, have not tested it yet. 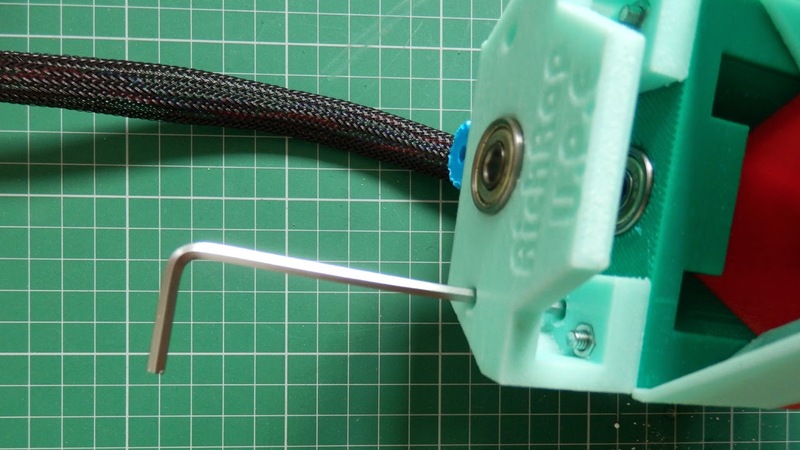 Fill hopper, make sure you have a fan on constantly cooling the thermal break on the J-head and lower half of the extruder body. 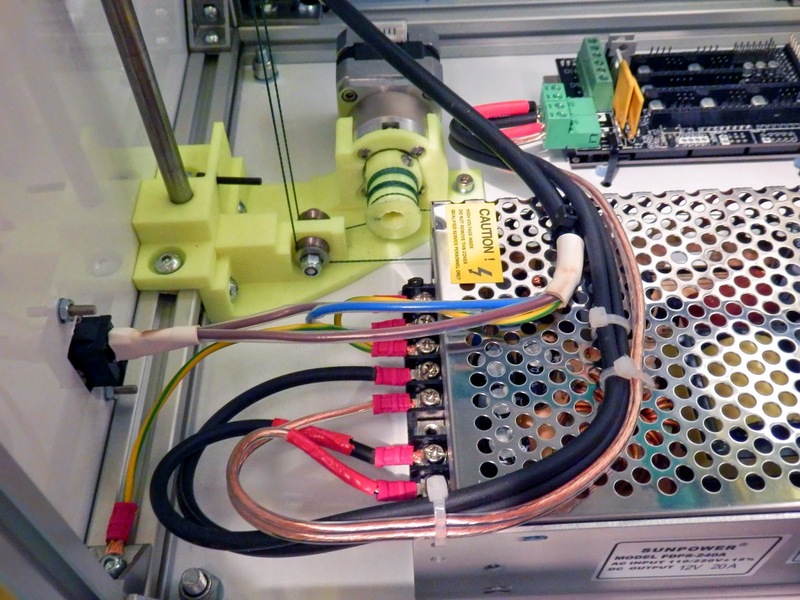 Experiment with temperature and speed of stepper motor drive. 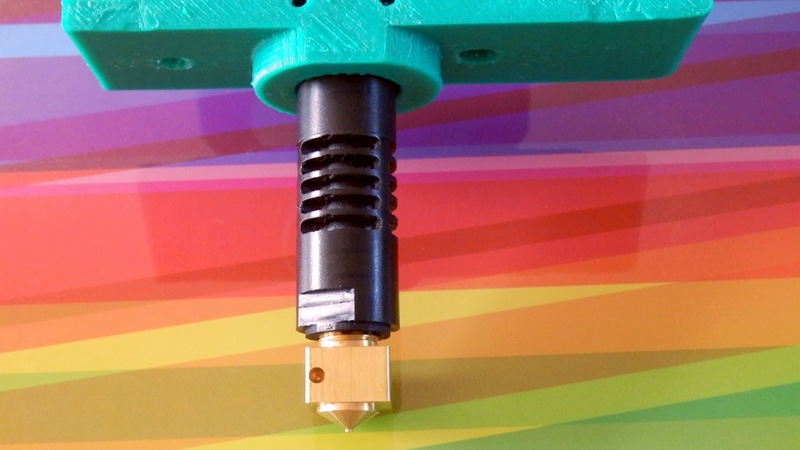 You can use the standard extruder retraction to stop or limit the flow ! but you may need to slow it down to under 15mm/sec. Experiment and play, and please let me know how you get on. One really important thing - Make sure you run the Auger motor in reverse! 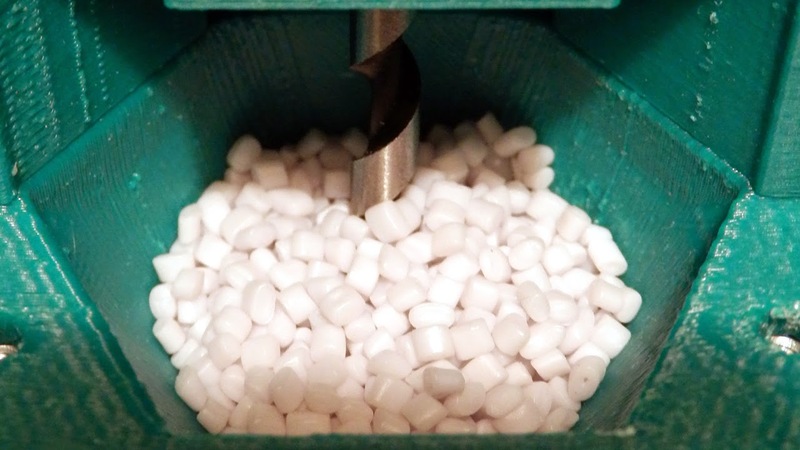 - that's anti-clockwise as you want to push down the pellets into the hot-end and not drill them out. 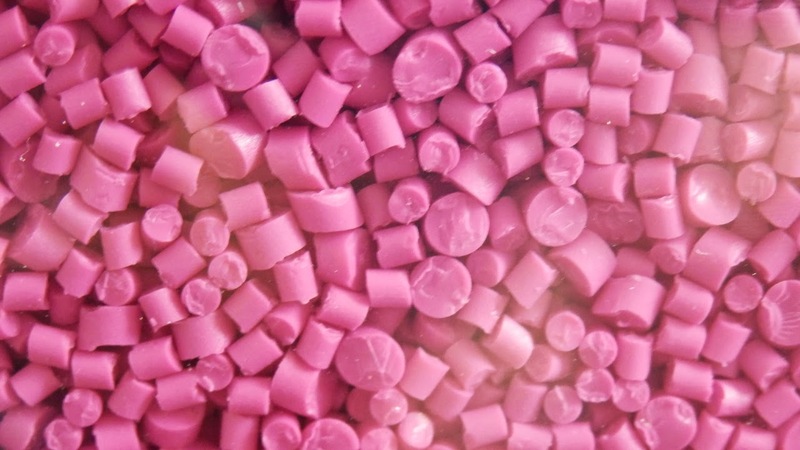 I ran out of time with this project in the summer (2014) due to other projects and shows, so the files being released still need work and refinement to get to a working solution that can process many different types of material in pellet form. I have still yet to try the Colorfabb Woodfill pellets as I didn't want to block the second extruder after already blocking the first one with 'A-PET' material. This is a very exciting project, do let me know what you think about it, all and any feedback is good. And if you decide to make one or want to evolve the design, please feel free and spread the word. Thanks for reading, have fun, experiment and play. Also please do let me know how you get on. Until next time, and have a Happy Christmas / New-Year Holiday / Seasons greetings. 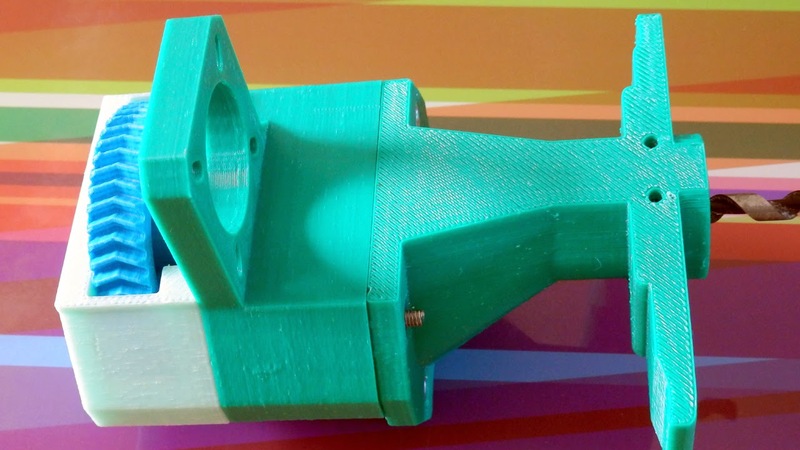 My 3D Printing work (and video's) are released under Creative Commons CC-BY-SA License. Sorry to have to put this up, but I see a lot of my images and words being used without my permission for commercial activity, by people who want to make money, that's fine but do ask my permission first and be open about what you want to do with them. I'm cool about most things. 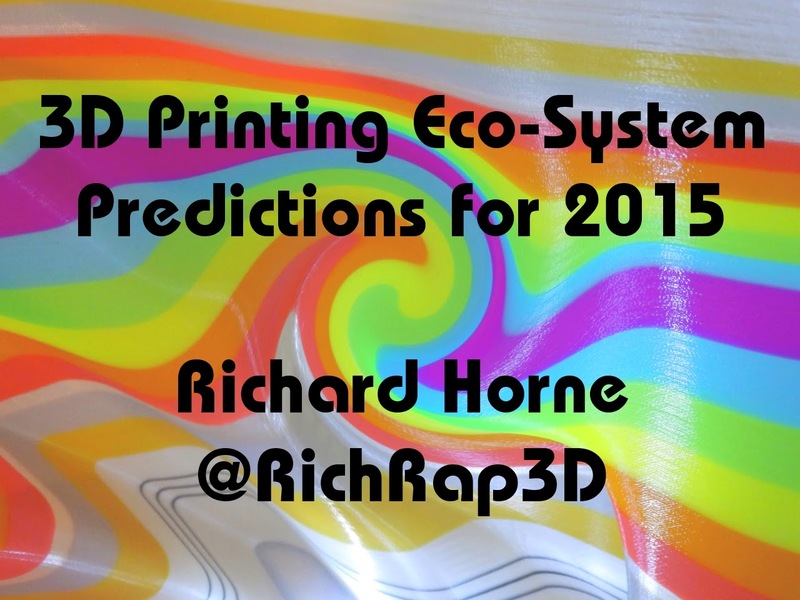 2015 Predictions for the exciting home, consumer and business 3D printing eco-system. 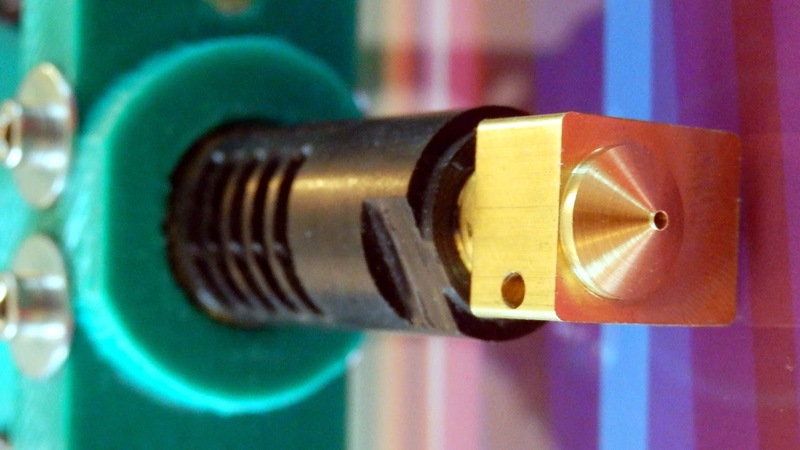 Time to dust off the 3D printed crystal ball and make some predictions for 2015. 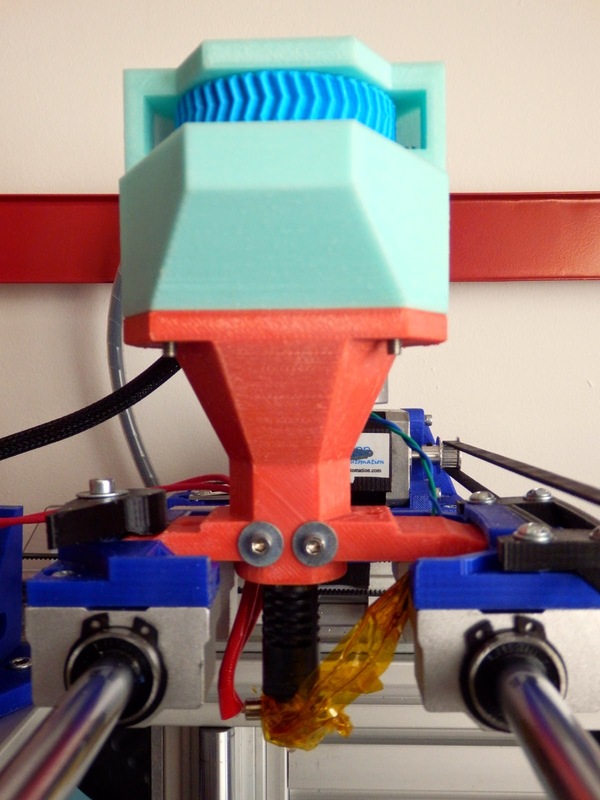 Here is my view looking forward in the 3D printing industry. 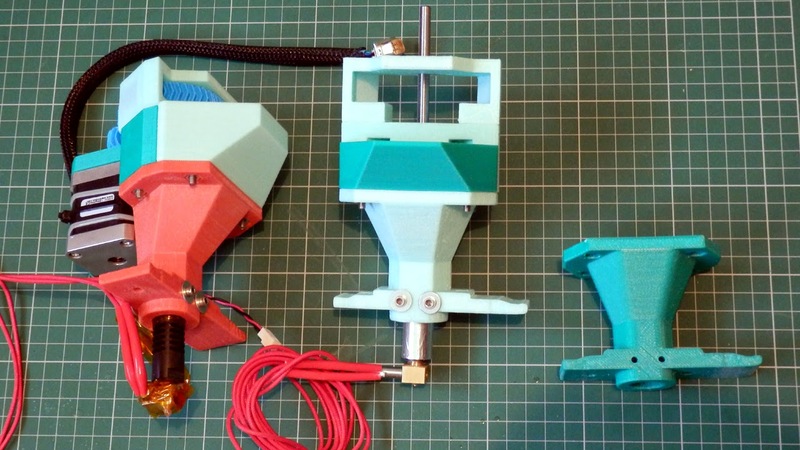 The Hype is dying down a little, users are moving into the useful phase of 3D printing. Both quality and speed is improving with software and processing tools lagging behind expectations. The 3D printer price war is still on, but to a lesser extent as users can see what you get for ~$200 is not what they really want or need. 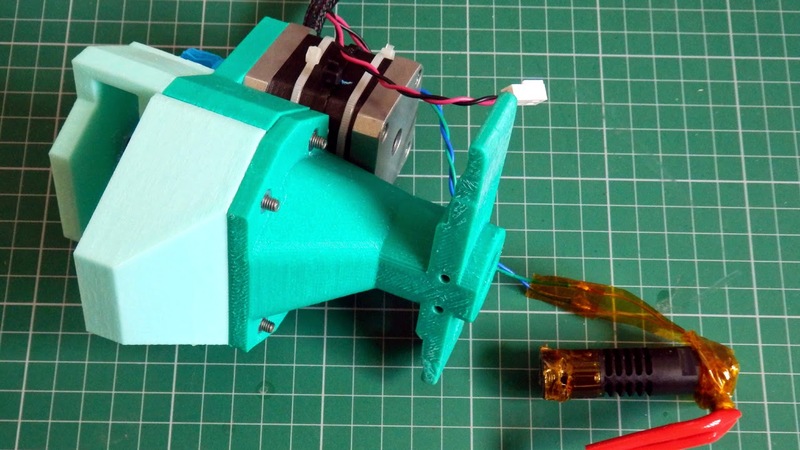 New developments, designs and ideas for 3D printing continue to bloom from the open-source community. We may even start to see some early and innovative ways to reward designers and developers that share their work, collaborating with others and the wider maker community. The gap between ‘professional’ and home / consumer 3D printers will continue to bridge, with users in both sectors and the manufacturers / suppliers. High end 3D Printing manufacturers will slowly refine their technology reducing price points at the lower (entry level). The market will get more competitive before starting to shake down to a few clear market leaders. 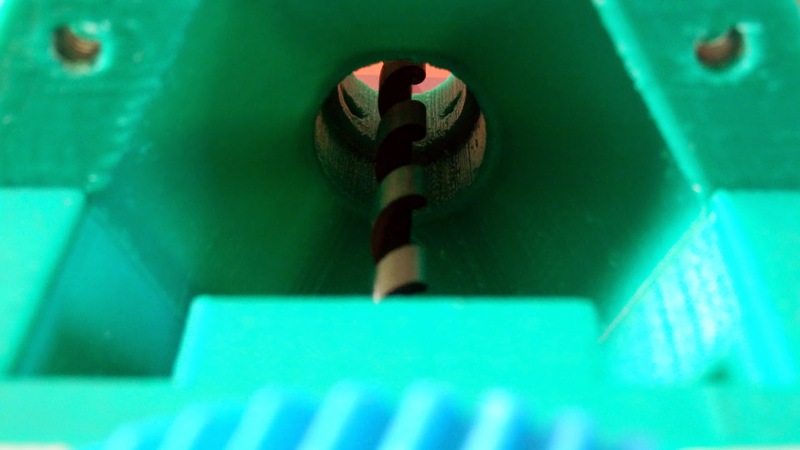 This year we have seen so many more filament suppliers pop up, and many of them have had quite shocking and bad tolerance control (material swings from under 1.55mm to over 2mm, sometimes in less than 1M lengths). We will see many more materials and ‘value added’ unique formulas that help with the further expansion and creative process of 3D printing. We should see some actual conductive materials appear (rather than just anti-static / high resistance currently available) that could make printing basic circuits for electronics possible for everyone. Hopefully we will see a better understanding by the media and users – e.g. 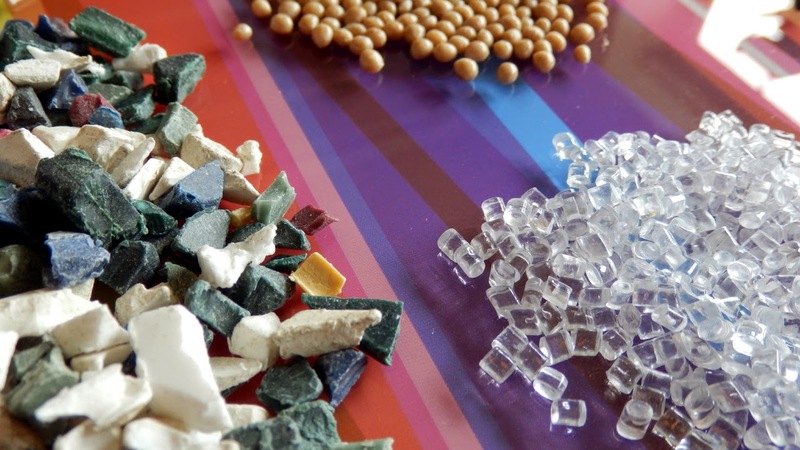 - thermoplastic materials and resins are still just that even when filled with wood, ceramic or metal fibers. It’s still not magic or revolutionary, just evolution of a well established process. 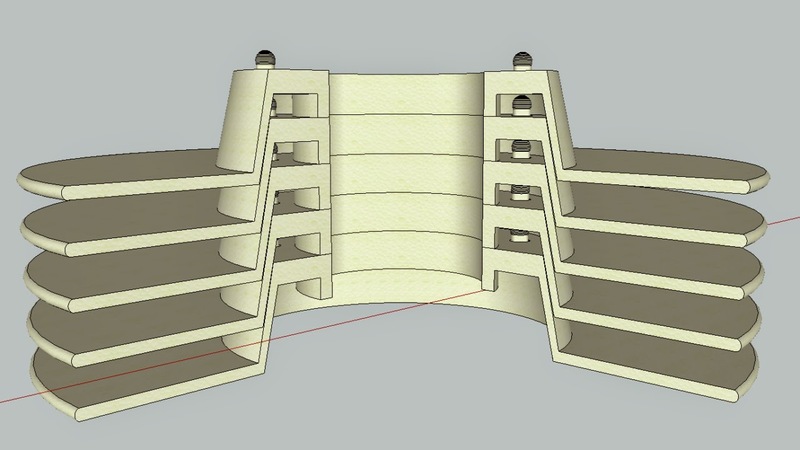 A viable and universal support material will finally be developed (and it will be good and low cost). We will see many smaller machines; things will get further miniaturised and become truly portable. Higher quality and faster results. Bigger machines will also be popular, but will be focused more towards specific materials and uses. Further excitement around printing metals, reality is that’s still incredibly complex, messy, dangerous and expensive. 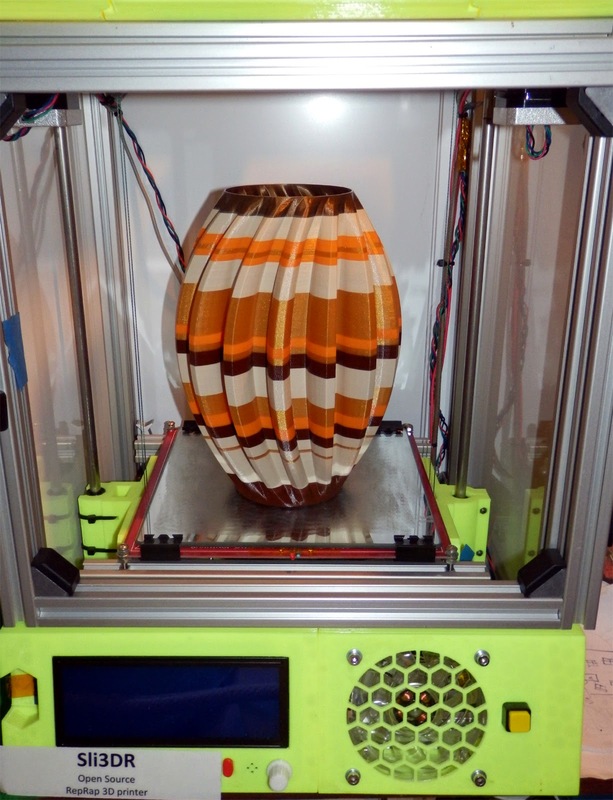 We will start to see more 3D Printers designed for specific functions and less ‘general purpose’ printing, especially in Food and all sorts of Art & Sculpture applications. I still don’t see multi-function machines being a success in the next 3-5 years. Machines that combine many functions (Print-Scan-Mill-Laser-Cut-Make-Toast-Walk-The-Dog) will continue to appear but users will be very disappointed with poor results and complexities. Specific machines, getting more focused on an application is still the way to go, we are still in a very early eco-system for 'desktop manufacturing'. We will see many more SLS/SLA/Laser/DLP/Resin printers. 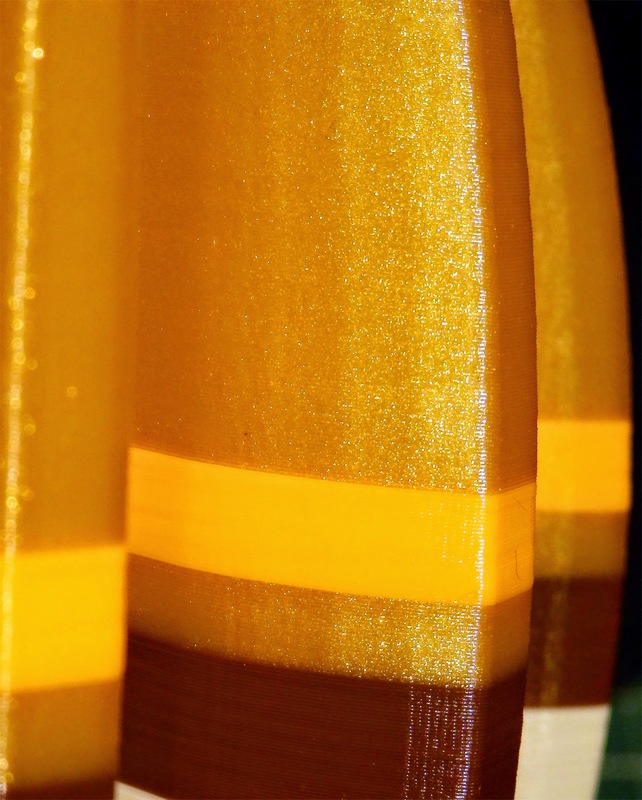 Along with advancements in Resin/powder based materials, they will be a very viable choice over FFF/FDM based machines in 2015. 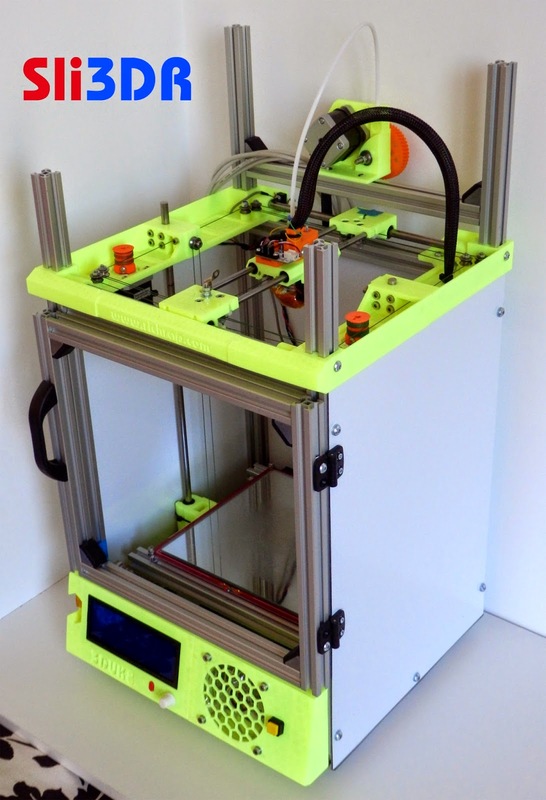 At least twice as many home/pro-consumer 3D printers will be sold in 2015 compared to 2014. Still a long way to go, but improvements and further products like Fuel3D, will open up a more creative design flow for individual users and designers. 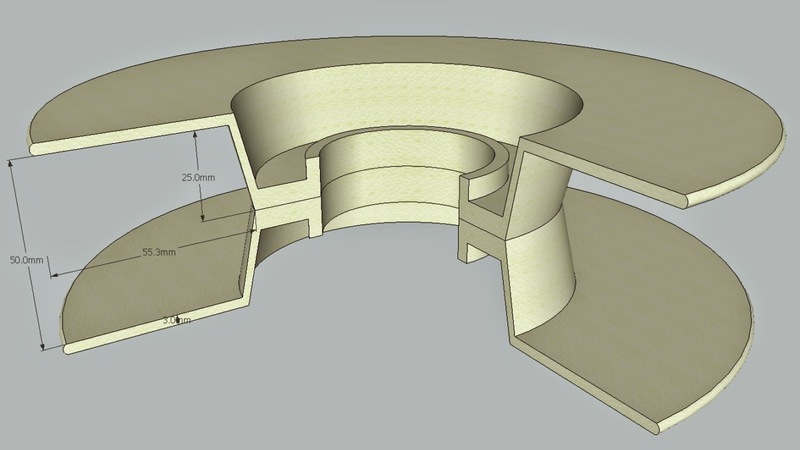 Some early advanced slicing algorithms will start to make more robust and stable 3D Prints by form analysis and a deeper understanding of the materials being used. Giving the user more advice and less failures or unexpected results. 2015 will finally be the year of ARM based control systems (used in many more production machines), much more sophisticated control algorithms and emphasis on user machine interfaces that are actually intuitive. Setup will be easier to configure and printing machine profiles will start to have ‘dynamically controlled parameters’ for specific materials being used – more than simple Slicer and Gcode control. We will see many more people wearing 3D printed designs / objects and Jewellery and other wearables. We could see a backlash against the license / subscription ‘cloud-only based’ design/model offerings. Free-flowing organic design will start to get easier and more accessible for users and designers – combined with improvements and cost reduction in new scanning technology. More of a wish than a prediction – I hope we will see more companies and individuals supporting learning and education in schools. Not just by giving or discounting machines and materials, but actually helping with understanding, training and long-term support for teachers, students and the entire education system (all around the world). This goes for all and any technology and ‘making’, not just specifically 3D printing. I have supported more crowdfunding projects this year than previous. Unfortunately the quality and delivery is definitely getting worse, it’s having quite an impact on how people view crowdfunding and tech start-ups. I will personally be more cautious in 2015. Well, they are not going to slow down anytime soon, but people the world over are starting to understand the power of cooperation and open-innovation so that’s making a more balanced and sharing eco-system for the future. It’s going to be ‘war of the shows’ in 2015, things will hot up for global presence, visitors and sponsorship. It’s getting serious business, as interest grows in 3D Printing and all aspects of the design & making process, we will see some collaboration but mostly strong competitive signals in the 2015 show calendar. More adopted standards will help growth of 3D printing and usability for many different industries. Global associations will continue to grow with members and support from manufacturers will strengthen the industry. 2015 3D Printing predictions are my own and could well be incorrect, see you next year to see how many of these will ring true. And if you are sat around with nothing to do or want an idea for a business, pick one from the above and make it happen. 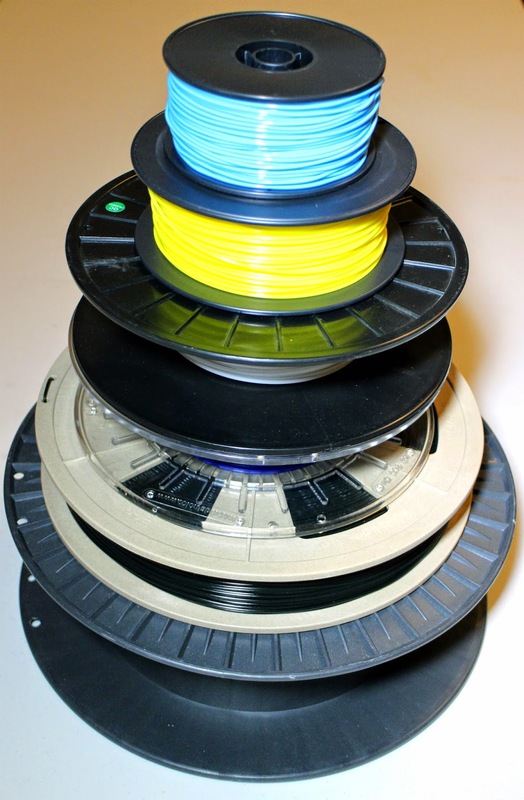 Here is an update and release of the universal 3D Printing Filament Spool Standard. The Idea was first discussed and proposed here in March 2014, the draft standard has now been produced for comment and further discussion. 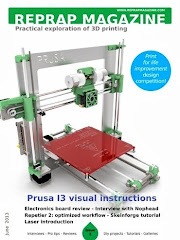 It's available for download from the 3D Printing Association and Youmagine. 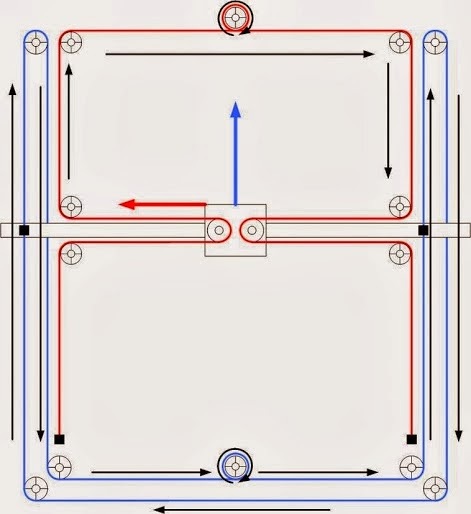 If you wish to discuss, comment or ask questions about the standard, a Youmagine page also contains the standard and can accommodate any drawings, model files or tooling information as required. To get you up-to-speed quickly take a look at the original blog post here, and also view my update video on Youtube or below. 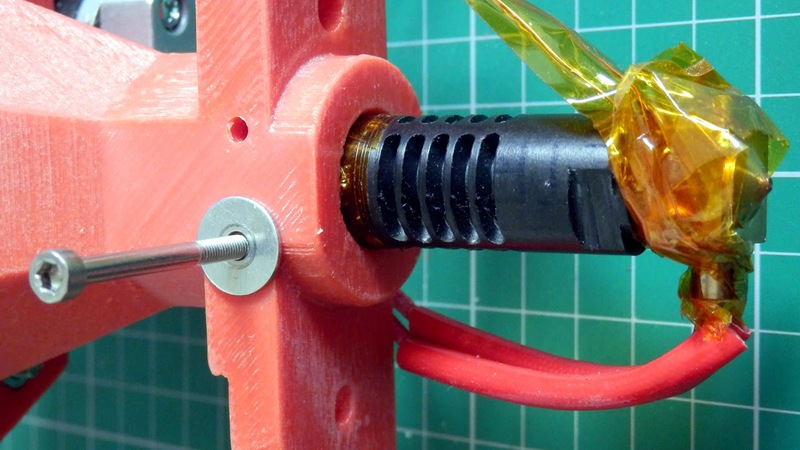 The discussion thread on the RepRap Forum is also still alive and active if you prefer to keep that discussion going. 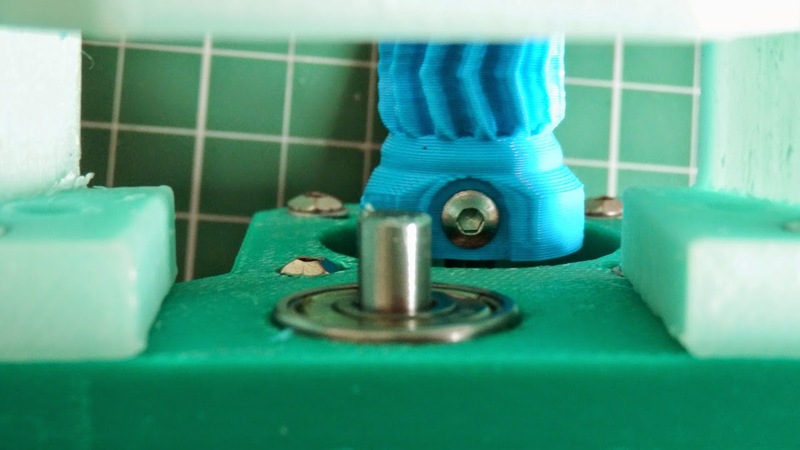 The 3D Printing Association is supporting this project and also looking for feedback and implementation from filament manufacturers and everyone in the 3D Printing community, please get involved if you can. 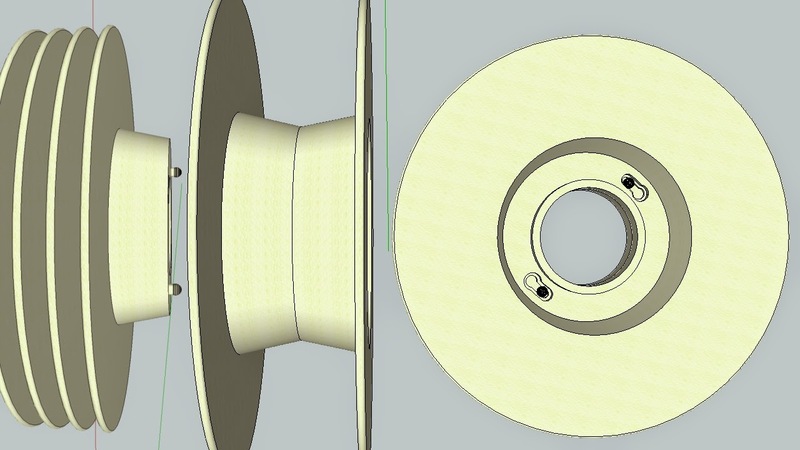 Expanded Biofoam (PLA based) half-spool - can be rotated together to form a Filament spool. 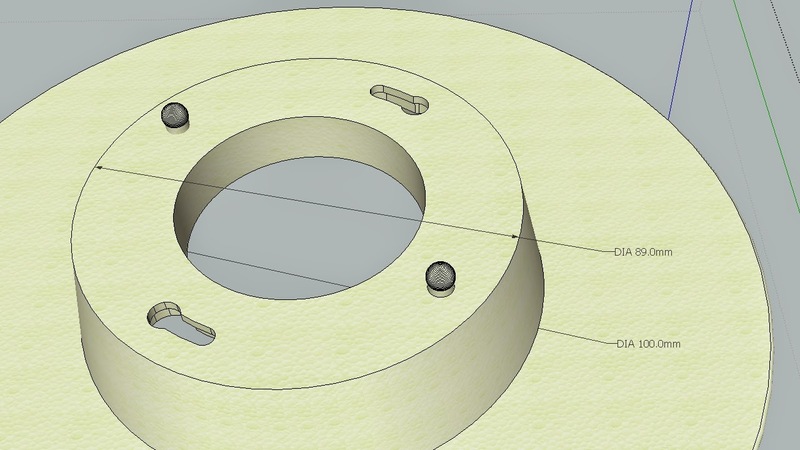 Dimensions are outlined in the spool standard along with suggested deviations. Space reduction was an important factor for the spools, both is shipping weight and the volume of space the take up while in storage before being used to hold 3D Printing filament. 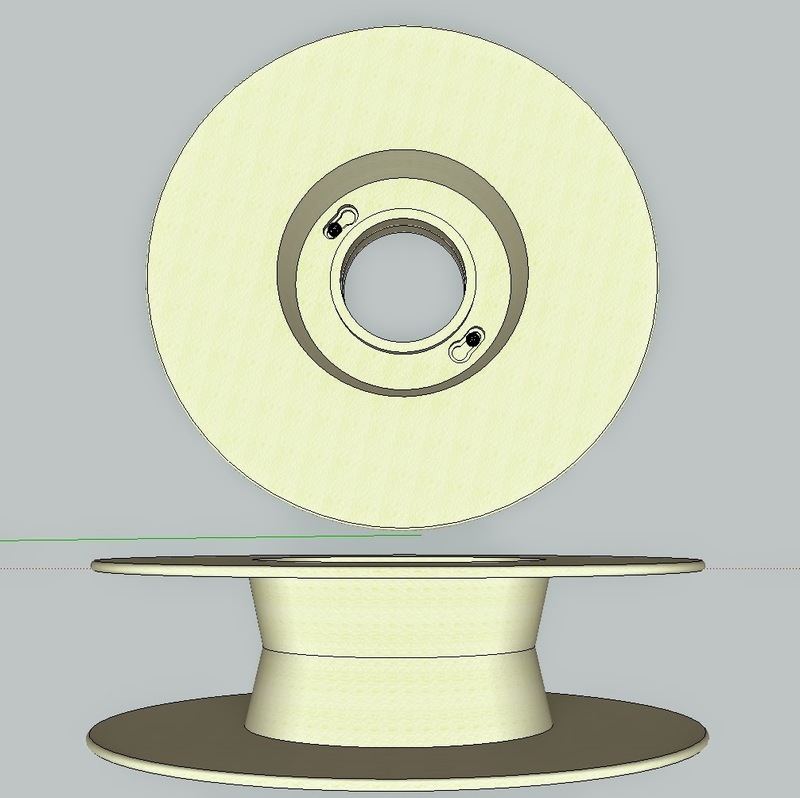 The idea of a standard filament spool size and compatible mechanical mounting dimensions will only be a reality of filament manufacturers decide to work with the standard and help make it a success. 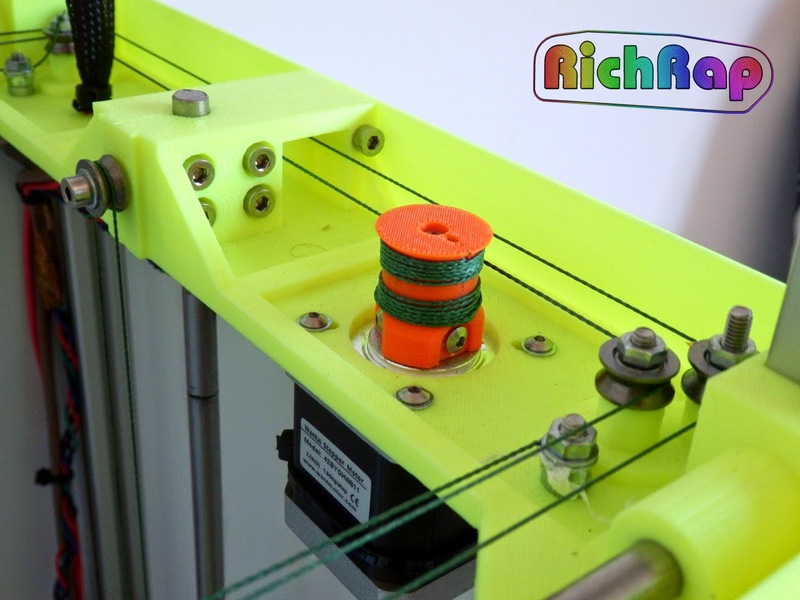 At the moment still more spool types, sizes and mounting methods just keep on being introduced without any common standard or general compatibility with existing or future 3D Printers. Thanks for reading, and a special thank you to all of you who got involved in this and spared time to talk to me, I really appreciate it. The 3D Printing community thanks you all. Labels: 3D printing, 3dprintingindustry, biofoam, campaign, community, feedback, mounting, PLA, plastic, spool, The 3D Printing Association, universal filament spool standard. Just a quick update to say the design files, source files and other info are now (finally) up on Youmagine (and GitHub) - Yay! 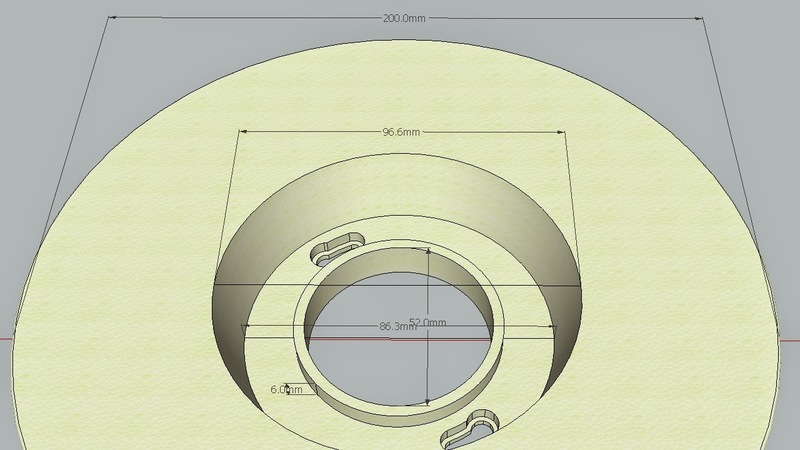 Do also take a look at the images on Youmagine to see how to build one, most of the fittings are M3 and M4. You can configure Repetier Firmware for other Hardware using the fancy online tool here - Load the Config.json file. This time, I didn't do a Marlin release for it, if you make one, let me know or just share it. I hope you build one, the print results I have had from it are outstanding. My quest for the perfect Cartesian Z axis is complete... for now. Thank you for downloading, please be aware and abide by the license all these files. This License is not greatly restrictive at all, so please don't forget to attribute my work and acknowledge. If you decide to print and sell these or make further changes, improvements or additions, that's great! I want you to do that ! 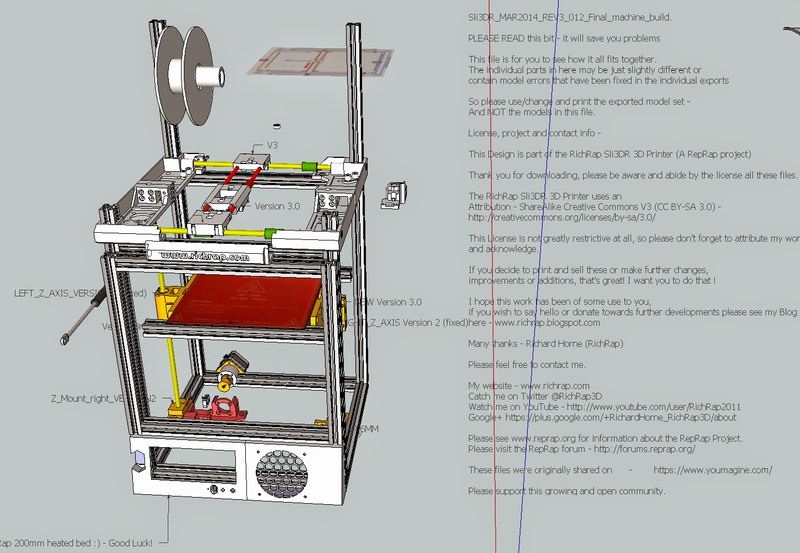 Please see www.reprap.org for information about the RepRap Project. Please support this growing and open community. 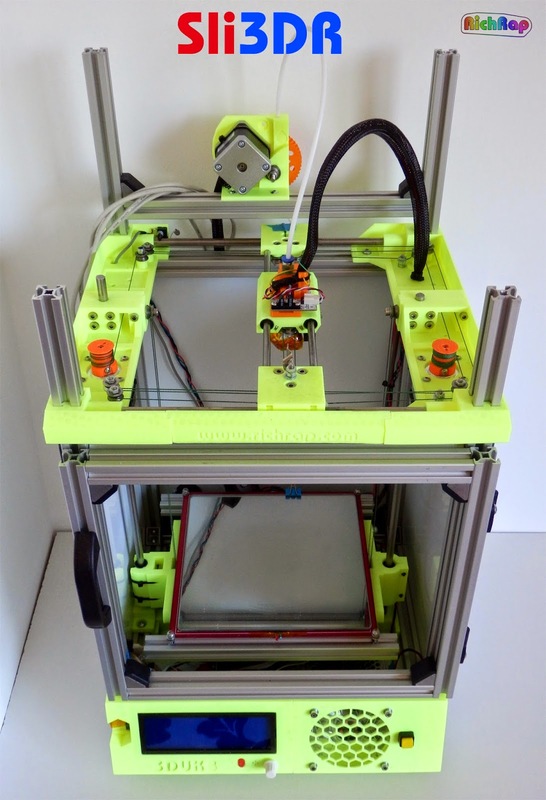 Sli3DR is not a Delta based printer, rather it's based on an intriguing 'unnamed mechanism' that was floating around on the RepRap Forum and G+ last year. Billy ZelsnackIdentified it as used in a very old (Rikadenki) Pen Plotter design here. 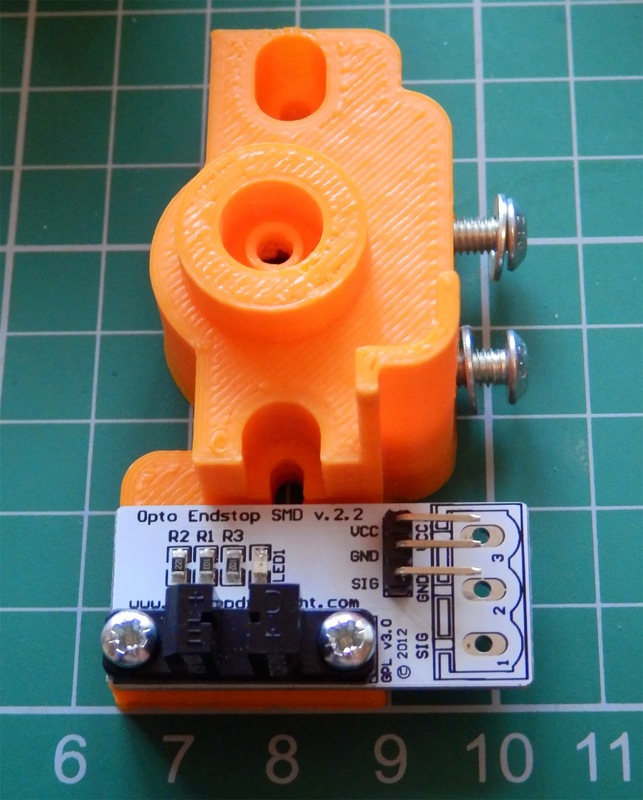 A few people have tried it out for 3D printing using off the shelf mechanical parts, I wanted to make it with 3D printed parts and Spectra Line based on this mechanism. David's original video sparked great discussion over the mechanism, Tim Rastall Made a great sketch of the 'unnamed mechanism' - still unnamed as far as I know. It just needs a door and it's complete. Spectra Line - Fantastic stuff. Happy Building, and as always let me know if you build one... or thousands. And a quick grumble about backing up files - I had a hard drive crash last night, and like all disasters with computers it wasted a lot of time trying to restore things. I'm not yet sure how much was lost, most was backed up, but the last 3 months - not so much. I do already know I lost half of the 3DRnano V2 design I was working on a few months back. That caused much swearing and grumpy kicking of things. Instead of getting too annoyed, I managed to finally release Sli3DR, so at least that's made me happy again. - If you do nothing else tonight, back up your projects to a memory stick, or on-line. I will be releasing 3DRmega next, (as soon as possible) stay tuned.